Political Players is a weekly conversation with the leaders, consultants, and activists who shape American politics. This week, as the McCain and Obama campaigns prepare for a general election between their candidates, CBS News' Brian Goldsmith talked with former Newt Gingrich adviser Frank Luntz about Republican challenges, Democratic opportunities, and--his particular speciality--the words that work to attrack voters. CBSNews.com: The president has a record high disapproval rating. 80 percent of the country believes we're on the wrong track. How much does John McCain have to distance himself from the Bush administration--and how can he do that? Frank Luntz: McCain's mission is to win despite being a Republican, not because of it. And that requires him to be his own man. Now, he's well suited to that because of a past record of opposing the administration--and opposing a majority of Republicans--on issues such as campaign finance reform, the tobacco bill, the president's tax cuts, and even the war in Iraq. But it is a tremendous challenge, and he starts at a huge disadvantage. CBSNews.com: But has he done enough, in launching his general election campaign, to establish himself as an independent persona? Frank Luntz: Has he done enough? As of now, yes. But he'll need to keep doing it every day, every week, every month. His independence is the only hope he has of winning the presidency. As it turns out, he's the only Republican that could potentially beat the Democratic nominee. But it will be a struggle every single day. CBSNews.com: Does he have to draw more substantive distinctions with the policies of the Bush White House? Frank Luntz: I don't think so. I think he has to be himself. The guy is a maverick. He talks like a maverick. He votes like a maverick. It's not just about issues. It's also about character traits and attributes. And I think the media sometimes forgets that people don't just vote based on who they agree with. They also vote based on who they trust, who they have confidence in, and who they believe says what they mean and means what they say. CBSNews.com: Speaking of saying what you mean, your book, Words That Work--and much of your career--has been about getting people to use the right language to convey the right messages to the right audience. What are the words that you think really define this election year? Obviously we've heard a lot about change. We've heard about accountability. What do you think the American people are looking for in a presidential candidate in 2008? Frank Luntz: You named a couple of them right there. The value that they want most in government is accountability. And that's because they think the politicians do everything they can to escape it. What they want most in a presidential candidate is someone who says what he means and means what he says. Because they're tired of being lied to. What they want most in the economy is security because the level of economic anxiety is at all-time highs, modern highs. And what they're looking for overall--change is such a simple word. It's not change. They're really looking for a fresh start. And either candidate could represent what the public is looking for. CBSNews.com: Obama seems on track to be the Democratic nominee. What went wrong for Hillary Clinton? Frank Luntz: Everything went wrong for Hillary Clinton. I've never seen a campaign and a candidate so misjudge an electorate, particularly when they spent millions of dollars listening to them. It's as though they were polling in Slovenia rather than New Hampshire. Hillary's campaign is guilty of electoral malpractice. She should've been the nominee. In fact, she should've been the next president. It's not just the campaign's fault. It is also her fault. At critical moments she made fatal mistakes. CBSNews.com: Looking back, what were the most fatal mistakes? What were the themes that she should have emphasized that she chose not to? Frank Luntz: She could have been the change people believe in. She could have been the candidate to offer hope and opportunity. And I studied this. In every debate, in every ad, Barack Obama spoke in positive terminology about 75 percent of the time and used negative references about 15 percent of the time. She spoke positively only about 35 percent of the time, and she used negative references 50 percent of the time. She didn't realize just how negative her campaign sounded. Every time she attacked corporate America, every time she attacked pharmaceutical companies, oil companies. Every time she talked about the right wing, she was losing young voters who've had enough of that divisiveness and had enough of that negativity. She turned off the very people who would've voted for her because she's filled with rage. CBSNews.com: And yet, Senator Obama has a pretty formidable challenge in front of him because he's had trouble--not just with white working class voters--but also with Latino voters, Jewish voters, older voters, white female voters, particularly in the key states. So, what does he have to do as he transitions to a general election? Frank Luntz: Well, he's in a stronger position than McCain right now because the Democratic Party is in a stronger position than the Republicans. In fact, John McCain will soon realize that it is smart for him to run against Congress, which includes members of his own party. In Obama's case it's a state calculation as well as a message calculation. I think he has to win Colorado and Iowa to balance a loss in New Hampshire. And then he's got to win either Ohio or Missouri to get over 270. He's got to win one of those central old economy states in which he didn't do particularly well in the primaries. CBSNews.com: And in terms of his message, what can he do to attract some of the voters, many of them Democrats, who thus far have been resistant to him? Frank Luntz: He has to empower people. And he empowers people the way that he uses his message now. You need to take it one step further. We've talked about change, and in fact, he's got an ad. His Super Bowl ad is the best example of this. He has a line in there, "We can change the planet." I don't know of any candidate ever in American politics who offered his supporters that level of empowerment, that level of influence. He then needs to make that a reality. He needs to say, "We have come so far. Don't turn back now. If you accept the way things are, vote for the status quo. But if you believe and want to do better, you just have one more activity." It's reminiscent of the Radio Free Europe ads of the 1960s and 1970s, where they used to talk about how in foreign countries you had to risk your life to make a difference. In America, you just have to vote. CBSNews.com: And that's enough? "The one additional step that voters have to take," that's enough for these Hispanics and Jews and older voters to overcome their doubts? 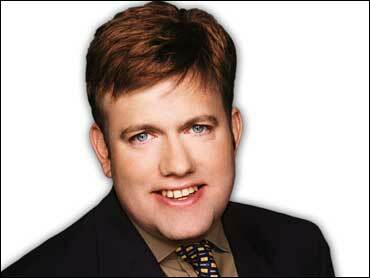 Frank Luntz: The dumbest thing for Barack Obama is to become a politician with five months to go. If he starts to pander to the traditional Democratic constituencies the way Al Gore did in 2000 and 2004, he'll destroy his own novelty. He'll destroy his own credibility. Obama earned the nomination because he's proven himself different than any Democrat who has come before him. Now is not the time to change. Also don't forgot that he's got the best staff, political staff, in modern campaign history. Something good has happened. Don't change it now.